The INFINITI QX50 Concept, an evolution of the 2016 QX Sport Inspiration, will make its global premiere at the 2017 North American International Auto Show in Detroit. INFINITI will also exhibit its new VC-Turbo (Variable Compression Turbo) engine technology which combines the power of a high-performance 2.0-liter turbo gasoline engine with the torque and efficiency of an advanced diesel powertrain suited to the QX50 Concept. By seamlessly raising or lowering the reach of the pistons, it instantly selects the most suitable compression for current driving conditions. The 268 horsepower VC-Turbo engine will be comparable to certain six-cylinder gasoline powertrains for performance, while significantly outperforming them in efficiency. INFINITI engineers are targeting a 27 percent improvement in fuel efficiency over V6 gasoline engines of similar power output. The Audi Q8 concept is a full-size SUV with a coupe-look that will make its debut at North American International Auto Show in Detroit Jan. 9. The all-new 7th generation 2017 BMW 5 Series, arriving in U.S. showrooms February 11, 2017, is priced at $52,195 for the 2017 BMW 530i, $54,495 for the 530i xDrive model, $57,445 for the BMW 540i and $59,745 for the BMW 540i xDrive model (including $995 destination and handling). Standard equipment includes Adaptive LED Headlights, Sport Seats, Active Protection, Fatigue and Focus Alert as well as an 18-inch Double-Spoke Wheels and an Anthracite headliner enhancing the sporty character of the latest BMW Sport Sedan. At launch, the 7th generation BMW 5 Series will be available as a 530i, 530i xDrive, 540i and 540i xDrive models with the BMW M550i xDrive and BMW 530e and 530e xDrive iPerformance models arriving at dealers in the Spring. The all-new 5th-generation 2018 Honda Odyssey minivan will make its global debut at the 2017 North American International Auto Show on January 9. The next-generation Chevrolet Traverse redesigned for 2018 will debut on Jan. 9 at the North American International Auto Show in Detroit. The first ever BMW 530e iPerformance, the fourth iPerformance BMW, is powered by a 95 horsepower electric motor and 180 horsepower 2.0-liter 4-cylinder TwinPower Turbo combustion engine for an overall system output of 248 horsepower (preliminary) for a 0 to 60 mph time of 6.1 seconds (preliminary) to a top speed of 130 mph (preliminary). The electric motor and combustion engine direct their power to the rear wheels or all four wheels via the standard 8-speed Steptronic transmission with paddle shifters. The high-voltage battery pack consisting of lithium-ion cells with a total capacity of 9.2 kWh is located underneath the rear seat. The 2018 BMW 5 Series iPerformance will be available at U.S. dealers in Spring 2017 with pricing closer to market launch. The first ever BMW M550i xDrive powered by a 456 horsepower specifically modified M Performance TwinPower Turbo 4.4 liter 8-cylinder engine mated to Steptronic Sport 8-speed transmission propels the BMW M550i xDrive from 0 to 60 mph in under 4.0 seconds and then on to an electronically limited top speed of 155 mph. Available options include Active Driving Assistant Plus, including Active Cruise Control with Stop & Go, Evasion Aid and Active Lane Keeping Assistant. The 2018 BMW M550i xDrive will be available at U.S. dealerships in spring 2017 with pricing announced closer to market launch. The new 2018 Mercedes-Benz E-Class Coupe, larger than the previous model, comes in E400 and E400 4MATIC models powered by a 329 horsepower 3.0L V6 biturbo engine equipped with the 9G- TRONIC nine-speed automatic transmission. DYNAMIC SELECT provides the following transmission modes: “Comfort,” “ECO,” “Sport,” “Sport +” and “Individual.” DRIVE PILOT with Distance Pilot DISTRONIC®, keeps the car at the correct distance behind vehicles in front on all types of road and can also automatically follow them at a speed of up to 130 mph. The all-new model year 2018 E-Class Coupe will go on sale in the U.S. next summer. 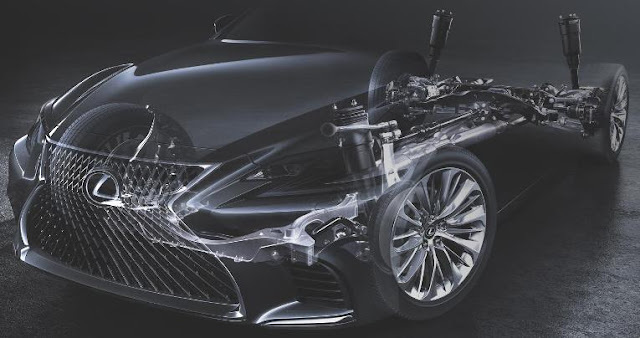 The all-new, fifth-generation Lexus LS flagship sedan will make its world debut at the 2017 North American International Auto Show next month. The 2018 Chevrolet Equinox, available in L, LS, LT and Premier trim levels, in FWD or AWD combinations, will start at $24,475 (including destination charge) when it goes on sale this Spring. The standard 1.5L engine will be available at launch, with the 2.0L Turbo and diesel options available in the second quarter of 2017. The 2.0L engine will be coupled to GM’s new nine-speed automatic transmission that will debut in the Malibu. 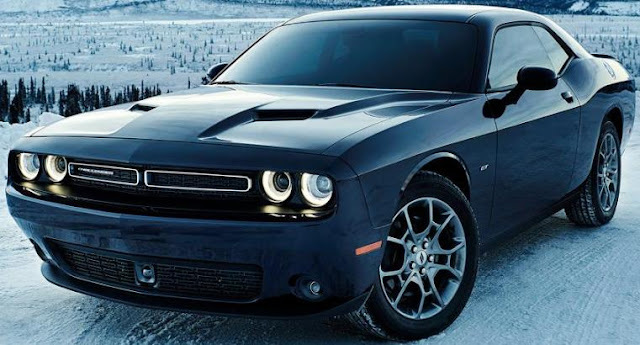 2017 Dodge Challenger GT, the first two-door American muscle car with all-wheel drive, has a 305 horsepower 3.6-liter Pentastar V-6 engine mated to a TorqueFlite eight-speed automatic transmission, delivering up to an EPA-estimated 18 city/27 hwy miles per gallon. The 2017 Dodge Challenger GT AWD starts at $34,490 (including $1,095 destination charge) and will be available in dealerships the first quarter of 2017. The all-new 2017 MINI Countryman starts at $26,950 for the Cooper variant and $28,950 for the Cooper ALL4 variant. The Cooper S variant will start at $29,950 and the Cooper S ALL4 variant at $31,950 (all prices include the $850 Destination & Handling fee). Pricing for the first ever MINI plug-in hybrid model, the Cooper S E Countryman ALL4, will be announced in 2017 closer to market launch in the U.S. The new MINI Countryman will go on sale in March at MINI dealers across the U.S. with the MINI Cooper S E Countryman ALL4 plug-in hybrid following in June. The 2017 Chevrolet Malibu will debut the brand's first nine-speed automatic transmission which will be also available in the 2017 Cruze Diesel and 2018 Equinox. The new, GM-developed Hydra-Matic 9T50 nine-speed is paired with the available 2.0L Turbo engine in the Malibu, contributing to an EPA-estimated 33 mpg highway, a 3 percent increase over the 2016 model with the six-speed automatic. The 9T50 is filled with DEXRON®-VI fluid that does not require changing under normal driving conditions. The 2017 Hyundai Accent Value Edition, with an all-aluminum 137 horsepower 1.6-liter four-cylinder engine mated to either a six-speed automatic or manual transmission, is priced at $16,450, $705 more than the base Accent with 6-speed automatic transmission, and comes with features such as 16-inch machine finish alloy wheels with P195/60R16 tires, rear disc brakes, steering wheel mounted audio controls, cruise control, bluetooth hands-free phone system and sliding armrest storage box. With the manual transmission, the Accent achieves an EPA-estimated 27 city, 37 highway, and 31 combined mpg. General Motors (Chevrolet, Buick, GMC, Cadillac) total U.S. sales in November were 252,644 vehicles, up 10.2 percent from last year, with Chevrolet up 5 percent, Buick up 22 percent, GMC up 9 percent and Cadillac up 17 percent. Year-to-date GM sales of 2,723,667 is a 2.5 percent drop from a year ago. Toyota Motor Sales, U.S.A. reported November 2016 sales of 197,645, an increase of 4.3 percent from November 2015. Toyota Division posted November sales of 168,595, up 5.3 percent and Lexus posted November sales of 29,050, down 1 percent. Year-to-date total TMS sales of 2,206,359 is a 2.4 percent decline from 2015. Ford Motor Company, including Lincoln, had overall sales of 197,574 vehicles in November, a 5 percent increase versus last year. Year-to-date sales of 2,374,843 is flat with a year ago. FCA US (Chrysler, Dodge, Ram, Jeep, Fiat, Alfa Romeo) reported U.S. sales of 160,827, a 14 percent decrease compared with sales in November 2015. 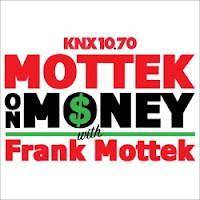 Year-to-date sales of 2,051,796 is up 1 percent over last year. American Honda reported total November sales of 122,924 Honda and Acura vehicles, an increase of 6.5 percent versus November of last year to set a new November record. Year-to-date sales of 1,477,465 is up 2.9 percent for a year ago. Nissan Group, including Infiniti, announced total U.S. sales for November 2016 of 115,136, an increase of 7.5 percent from the prior year and a November record. Year-to-date sales of 1,411,680 is a 4.9 percent increase over last year. Hyundai had its best November ever, with overall sales of 62,507, up four percent over one year ago. Year-to-date sales of 712,700 is a 2.1 percent gain over a year ago. Kia Motors America announced record November sales of 52,504, a 15.3 percent increase over the same period last year. Year-to-date sales of 593,245 is a 3.8 percent rise over 2015. Subaru of America reported 51,308 vehicle sales for November 2016, an 11.4 percent increase over November 2015 with year-to-date sales of 551,955 vehicles, a 4.9 percent gain over the same period in 2015. Volkswagen of America reported sales of 29,672 in November 2016, a gain of 24.2 percent over 2015. Year-to-date sales of 285,719 is a 10.3 percent decline from a year ago. Separately, Audi of America reported November sales of 17,118 vehicles, an increase of 2.5 percent and year-to-date sales of 187,018 is 2.9 percent higher than 2015. Mercedes-Benz USA reported November sales of 30,363 vehicles, a 1.1 percent increase from the same month last year. Mercedes-Benz Vans reported November of 2,564 and smart reported 563, bringing MBUSA grand total to 33,490 vehicles for the month. On a year-to-date basis, Mercedes-Benz sales totaled 308,226. Adding year-to-date-sales of 30,444 for Vans and 5,025 for smart, MBUSA posted a grand total of 343,695, up 0.6 percent from the previous year. BMW Group in the U.S. (BMW and MINI combined) reported November sales of 30,696 vehicles, a decrease of 15.8 percent from the same month a year ago. Year-to-date, BMW Group sales are down 10.2 percent on sales of 327,711 vehicles in the first eleven months of 2016 compared to the same period in 2015. 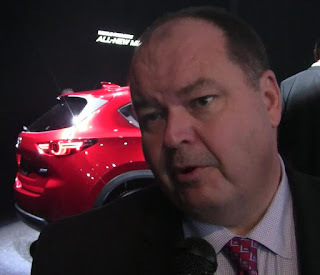 Mazda North American Operations reported November U.S. sales of 22,041 vehicles, representing a decrease of 3 percent versus last year. Year-to-date sales through November are 269,019 vehicles. Jaguar Land Rover reported for both brands were 9,040, a 19 percent increase from November 2015. Jaguar sales were 3,381, a 217 percent increase and Land Rover sales reached 5,659, down 13 percent. Year-to-date, Jaguar Land Rover U.S. sales reached 92,531, up 23 percent from 2015. Volvo Car USA reported U.S. sales of 7,723 vehicles, an 11.9 percent increase versus November 2015. Year-to-date sales are up 19.6 percent. Mitsubishi Motors North America reported November 2016 sales of 6,896 up 1.8 percent from November of 2015. Sales for the year of 88,884 are up 1.6 percent over the previous year. Porsche Cars North America announced an all-time monthly record with 5,513 vehicle sales in November, a 23.9 percent increase over November 2015. Year-to-date retail sales stand at 50,265 vehicles, a 5.1 percent increase over last year. The 2017 Acura RLX Sport Hybrid SH-AWD™, available in RLX Sport Hybrid with Technology Package and RLX Sport Hybrid with Advance Package trims, delivers 377 horsepower with a 310-horsepower 3.5-liter 24-valve SOHC i-VTEC® V-6 with Variable Cylinder Management™ mated to a 7-speed dual-clutch transmission with built-in motor-generator powering the front wheels, and two rear electric motors for the rear wheels. The RLX Sport Hybrid goes on sale tomorrow with an MSRP starting at $60,870 (including $920 destination charge). The RLX Sport Hybrid has an EPA rating of 29/30/29 mpg (city/highway/combined). 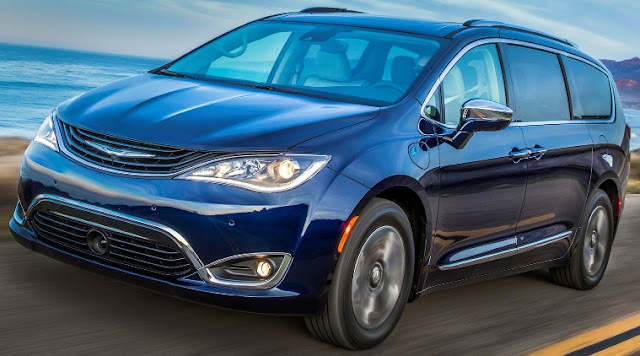 The 2017 Chrysler Pacifica Hybrid, which starts at $34,495 with available U.S. federal tax credit, not including state and local incentives, has earned a fuel economy rating of 84 miles-per-gallon-equivalent (MPGe) from the EPA with a total driving range rating of 566 miles and an electric-only range rating at 33 miles. Power is supplied by the electric drive system or supplemented by a new version of the gas-powered Pentastar 3.6-liter V-6. When the battery’s energy is depleted to a certain threshold, the Pacifica Hybrid becomes a part-time electric vehicle, like a conventional hybrid. Recharging the 16-kWh lithium-ion battery pack can take two hours using a 240-volt Level 2 charger or approximately 14 hours with a 120-volt Level 1 charger, which comes standard with the vehicle. Frank Mottek of Mottek on Money interviews SaxtonOnCars.com publisher Richard Saxton on KNX1070 News Radio, Los Angeles. Watch on YouTube. The all-new 2017 BMW M760i xDrive powered by a 601 horsepower TwinPower Turbo 12-cylinder engine is mated to an 8-speed Steptronic Sport Automatic transmission equipped with Launch Control for a 0-60 mph run of 3.6 seconds. The 2017 BMW M760i xDrive will arrive early in 2017 priced at $154,795 (including $995 Destination and Handling). 2017 Cadillac CT6 Plug-In Hybrid, with a total driving range of more than 400 miles, has an all-electric range at an estimated 30 miles and fuel economy estimated at 65 MPGe. The two-motor EVT system combines with the 2.0-liter turbocharged four-cylinder gas engine to produce an estimated total system power of 335 horsepower for an estimated zero to 60 mph time of an estimated 5.2 seconds. The CT6 Plug-In Hybrid launches in North America in the spring of 2017, starting in the U.S. at $76,090 (including a $995 destination freight charge) and before any applicable electric vehicle tax incentives. Jaguar I-PACE Concept, an all-wheel-drive, all-electric performance SUV, powered by a 90kWh battery with an estimated range of 220 miles and zero to 60 acceleration in around 4 seconds. The I-PACE has electric motors on the front and rear axles and a combined output of 400 horsepower and 516-lb ft. of torque, the same torque rating as the F-TYPE SVR. The Jaguar I-PACE will become a production model in 2018. The all-new 2017 Jeep® Compass offers a 180 horsepower 2.4-liter Tigershark four-cylinder engine mated to either a nine-speed automatic transmission for 4x4 models or a six-speed manual transmission (4x2 and 4x4 models) or a six-speed automatic transmission for 4x2 models. The 2017 Jeep Compass is available in four different trim configurations: Sport, Latitude, Limited and Trailhawk. 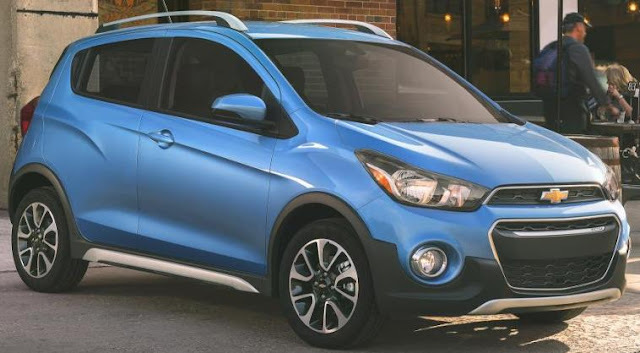 Available features include Forward Collision Warning-Plus, LaneSense Departure Warning-Plus, Blind-spot Monitoring and Rear Cross Path detection, ParkView rear backup camera, electronic stability control with electronic roll mitigation and seven standard air bags. Click on headline to view on YouTube. Click on post title to view on YouTube. The Mitsubishi eX Concept is a 100 percent electric-powered compact SUV with a cruising range of 248.5 miles from a Twin Motor 4WD drivetrain that delivers a total output of 188 horsepower. The Ultrasonic miss-acceleration Mitigation System plus Brake Control uses radar to detect obstructions either in front or behind the vehicle and regulates motor power when the driver presses their foot on the accelerator by mistake to prevent the vehicle from going forward. The all-new 2018 Toyota C-HR, with an appeal to buyers of the outgoing Scion brand, is powered by a 144 horsepower 2.0-liter four-cylinder engine with a Sport and a manual shift mode It goes on sale next spring with XLE and XLE Premium grades. The XLE Premium grade adds Smart Key and Push Button Start, Blind Spot Monitor and Rear Cross Traffic Alert and Front Seat Heaters. The Subaru VIZIV-7 SUV Concept, with full three-row capability will be introduced to the North American market in early 2018. The 2017 Volvo V90 Cross Country wagon, completing Volvo’s 90 Series line-up, is powered by a 362 horsepower version of Volvo’s Drive-E powertrain mated to an eight-speed Geartronic automatic transmission. Production of the car is set to start this Fall in Sweden. The 2017 Volkswagen e-Golf, using a new lithium-ion battery and 134 horsepower motor, has an increased range of about 50 percent of up to 124 miles on a single charge. The 7.2 kW on-board charger, standard on both SE and SEL Premium trims, enables the battery to be fully charged in less than six hours at a traditional charging station. The e-Golf vehicle is only available at participating dealers in select states. The 2017 Honda Civic Si Coupe and Si Sedan will be powered by a 1.5-liter, directed-injected and turbocharged DOHC in-line 4-cylinder engine with dual variable cam timing mated to a short-shifting 6-speed manual transmission and will launch next year as the latest additions to the 10th-generation Honda Civic lineup, joining the Civic Sedan, Civic Coupe and just-launched Civic Hatchback. The all-new 2018 Audi Q5, with all-new front fascia, more rear legroom and shoulder room, as well as increased cargo capacity, is powered by a 252 horsepower 2.0-liter TFSI® four-cylinder engine mated to an all-new seven-speed S tronic® dual-clutch transmission, accelerating from 0-60 mph in 5.9 seconds. Split folding 40/20/40 rear seatbacks recline and slide back and forward. The all-new Audi Q5 goes on sale in the Spring of 2017. The all-new 2017 MINI Countryman, coming in Cooper, Cooper S and the all new plug-in hybrid Cooper S E ALL4, is the biggest MINI ever and includes a model powered by both a three-cylinder MINI TwinPower Turbo Technology gasoline engine and an electric hybrid synchronous motor. With an option to plug in, the MINI Cooper S E Countryman ALL4 has a 3-cylinder gasoline engine that works in tandem with a powerful electric motor to produce a combined peak output of 221 horsepower, with the e-rear axle enabling all-season ALL4 traction. The new MINI Countryman will go on sale in March 2017 at MINI dealers across the U.S. with the MINI Cooper S E Countryman ALL4 plug-in hybrid following in June 2017. Mercedes-Maybach S650 Cabriolet - Only 75 For U.S. The Mercedes-Maybach S650 Cabriolet, based on the open-top S-Class, with seating for four and powered by a 621 horsepower 6.0L V12 biturbo engine mated to a 7G-TRONIC seven-speed automatic transmission, is limited to 300 worldwide and 75 cars for U.S. buyers. Mercedes tells me to expect a price of around $300,000. The all-new 2018 Alfa Romeo Stelvio and Stelvio Ti models are powered by a 280 horsepower all-aluminum 2.0-liter direct-injection 16-valve turbocharged and inter-cooled engine mated to an eight-speed automatic transmission, while the Stelvio Quadrifoglio has a 505 horsepower all-aluminum direct-injection 2.9-liter 24-valve bi-turbo inter-cooled V-6 engine with a standard Q4 all-wheel-drive system that has a Cylinder Efficient Management deactivation system, which enables the engine to run on three of its six cylinders. The Stelvio is built on the Alfa Romeo Giulia sedan platform and can be customized with up to 13 exterior colors, seven wheel choices, ranging from 18 inches to 21 inches and an almost endless selection of interior color and trim choices. The all-new 2017 Mazda CX-5, with a lower center of gravity and 10mm wider front and rear tread, offers a SKYACTIV-D 2.2 clean diesel engine, and a SKYACTIV-G 2.0 or SKYACTIV-G 2.5 direct-injection gasoline engines paired with either a six-speed SKYACTIV-DRIVE automatic or six-speed SKYACTIV-MT manual transmission. Also available is Mazda’s predictive i-ACTIV AWD system. The new CX-5 has G-Vectoring Control which by adjusting engine torque in response to steering wheel action, delivers unified control over lateral and longitudinal acceleration (G) forces and optimizes the vertical load on each wheel. The new CX-5 with gas engines will hit showrooms in the Spring while the diesel will follow later in the year. 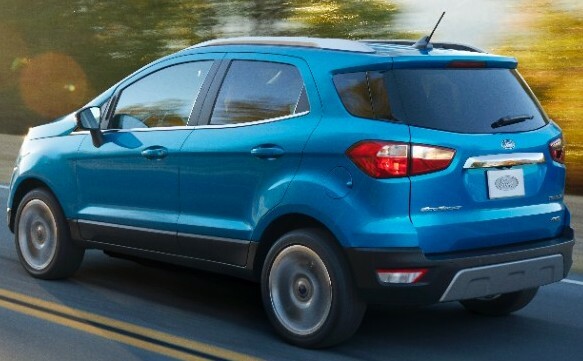 The all-new 2018 Ford EcoSport, equipped with either a 1.0-liter three-cylinder turbocharged EcoBoost® engine or a 2.0-liter four-cylinder engine with Ford’s Intelligent 4WD as standard, will be available in S, SE, SES and Titanium trims. Both engines are mated to six-speed automatic transmissions. The all-new Ford EcoSport starts arriving in dealerships in early 2018. The all-new 2018 Audi A5 and S5 Coupe offers a 252 horsepower 2.0-liter TFSI® four-cylinder engine mated to either a six-speed manual transmission or a seven-speed S tronic® dual-clutch transmission on the A5 and a newly designed 354 horsepower turbocharged 3.0-liter TFSI® V6 engine on the S5 with an eight-speed Tiptronic® automatic transmission. Every Audi A5 is standard-equipped with quattro® all-wheel drive. New for 2018, available Audi virtual cockpit and MMI® touch and driver assistance systems including standard Audi pre sense® city and available adaptive cruise control with stop & go and traffic jam assist. The 2017 Chevrolet Spark ACTIV, with an Ecotec 1.4L engine, is a sportier version of the Spark featuring trail-inspired accents and upscale features and goes on sale in the first quarter of 2017 for $16,945 with manual transmission and $18,045 with continuously variable transmission. Fuel economy is GM estimated at 29 city and 37 highway with the manual transmission and 30 city/37 highway with the CVT. The 2017 Ram Power Wagon, built on a Ram 2500 platform and powered by a 410 horsepower 6.4-liter HEMI® V-8 engine, is priced at $53,015(including $1,320 destination charge) and goes on sale late this year. 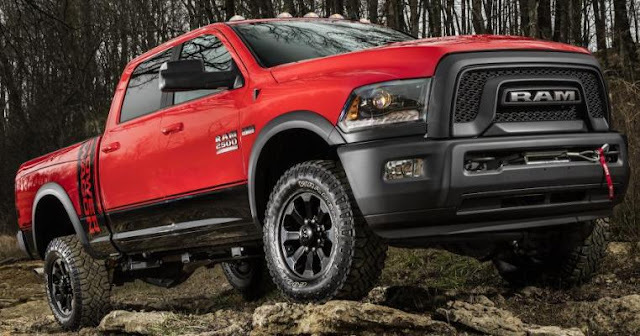 A $4,495 Leather & Luxury option package is offered on the Ram Power Wagon. General Motors (Chevrolet, GMC, Buick, Cadillac) sold 258,626 vehicles, a 1.7 percent drop, in October while year-to-date sales of 2,471,023 is a 3.6 percent decline from 2015. Cadillac October sales of 13,948 is a 9.4 percent drop from last year while year-to-date sales of 133,234 is down 5.6 percent. Ford total October sales were 188,813, down 11.7 percent versus a year ago. Lincoln sales made up 9,069 of that total, a 6.9 percent increase and year-to-date sales are 89,504, up 8.6 percent. Year-to-date total Ford sales are 2,177,269, a 0.4 percent decline from 2015. Toyota Motor Sales, U.S.A. reported October 2016 sales of 186,295, a decrease of 8.7 percent from October 2015. Toyota Division posted October sales of 161,492, down 9.1 percent while Lexus posted October sales of 24,803, down 6.2 percent. Year-to-date TMS U.S.A. sales of 2,008,714 is a 2.3 drop from 2015. FCA US (Chrysler, Dodge, Ram, Jeep, Fiat, Alfa Romeo) reported U.S. sales of 176,609, a 10 percent decrease compared with sales in October 2015. Year-to-date sales of 1,890,969 is up 2 percent over a year ago. American Honda reported October sales of 126,161 Honda and Acura vehicles, a decrease of 4.2 percent versus October 2015. Honda division sales of 113,292 was down 2 percent while Acura sales of 12,869 was a 13.8 percent decline. Year-to-date American Honda sales of 1,354,541 is a 2.6 percent gain over last year. Nissan Group announced total U.S. sales for October 2016 of 113,520, a decrease of 2.2 percent from the prior year. Nissan Division finished October with 102,312 sales, a 2.5 percent drop, while Infiniti sales of 11,208 was up 0.6 percent. Year-to-date Nissan Group sales of 1,296,544 is a 4.7 percent over 2015. 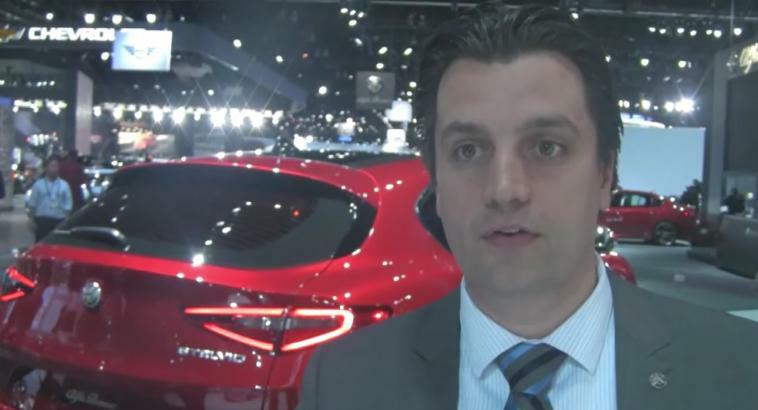 Hyundai Motor America sales totaled 62,505 vehicles (including Genesis brand sales of 1,201), a 4.2 percent rise over last year. Year-to-date sales of 650,193, a 1.9 percent rise over 2015. 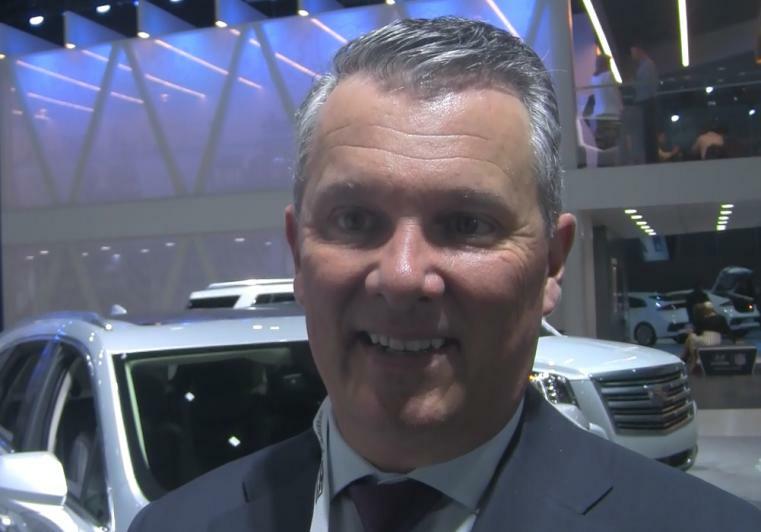 Kia Motors America sold 48,977 vehicles, a 2.1 percent drop from a year ago, while year-to-date sales of 540,741, a 2.8 percent increase over 2015. Subaru of America reported 53,760 vehicle sales for October 2016, a 4.1 percent increase over October 2015 sales of 51,629 vehicles. Subaru also reported year-to-date sales of 500,647 vehicles, a 4.2 percent gain over the same period in 2015. Volkswagen of America reported sales of 24,779 in October, down 18.5 percent from a year ago. Year-to-date sales of 256,047 is down 13.1 percent. Separately, Audi of America October sales of 17,721 was a 0.1 percent increase over 2015 while year-to-date sales of 169,900 is up 2.9 percent over last year. Mercedes-Benz USA reported October sales of 31,801 vehicles for the month, down 2.1 percent from last year. 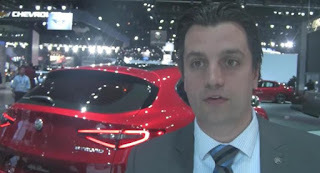 Mercedes-Benz brand sales were 28,659, a decrease of 1.0 percent from same month last year while Mercedes-Benz Vans sold 2,724, down 2.7 percent and smart sold 418 cars. On a year-to-date basis, MBUSA posted a grand total of 310,205 units in October, increasing 0.7% from the previous year. Mercedes-Benz brand 2016 sales of 277,863 is down 0.4 percent. Adding year-to-date-sales of 27,880 for Vans and 4,462 for smart, MBUSA posted a grand total of 310,205 units in October, an increase of 0.7% from the previous year. BMW Group October sales (including MINI) were 27,971, down 16.6 percent and year-to-date are 297,015, a 9.6 percent drop. Sales of BMW brand vehicles were 24,017, a decrease of 18.4 percent in October. Year-to-date, the BMW brand sales of 254,150 vehicles is down 9.0 percent in the first ten months of 2015. Mazda North American Operations reported October U.S. sales of 22,711 vehicles, a decrease of 10.8 percent versus last year. Year-to-date sales through October are 246,978 vehicles, a 7.6 percent decline. Jaguar Land Rover reported October 2016 U.S. sales of 8,751, a 7 percent increase from October 2015. Jaguar sales were 3,219, a 226 percent and Land Rover sales were 5,532, down 23 percent. Year-to-date, Jaguar Land Rover U.S. sales are 83,491, up 23 percent from 2015. 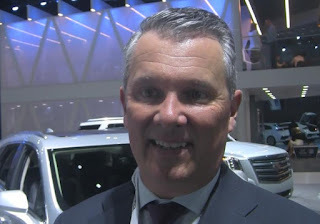 Volvo Car USA reported U.S. sales of 6,340 vehicles. Year-to-date, VCUSA has sold 64,872, a 20.6 increase year-over-year. Porsche Cars North America announced another record breaking October sales result of 4,506 vehicles, a 10.7 percent gain. Year-to-date sales of 44,752, up 3.2 percent over 2015. Results will be posted as manufacturers report. The Lotus Evora Sport 410 is powered by a 410 horsepower 3.5-litre 6-cylinder engine mated to either a six-speed manual transmission or an available six-speed automatic transmission with steering wheel paddle shifters andcan sprint from 0-60 mph in 3.9 seconds. 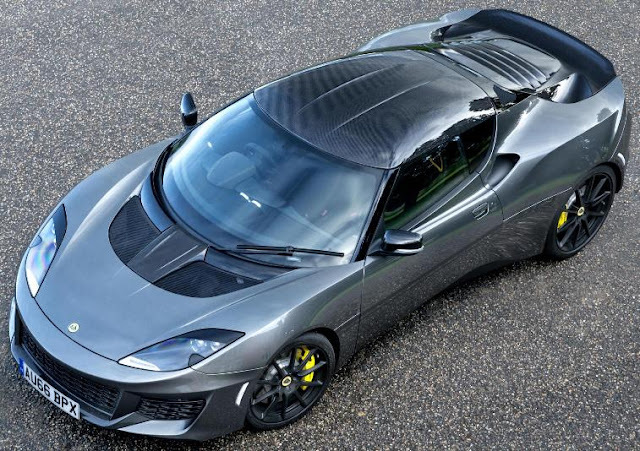 The Lotus Evora Sport 410 is limited to a global production run of 150 vehicles per year, and is on sale now for $120,000 in Germany and $100,400 in the U.K. and Japan for $144,000 and the rest of world markets. An adapted version of the Evora Sport 410 for the North American market will follow in summer 2017. The 2017 Mercedes-Benz AMG GLE43 SUV, the ninth model in its new line of AMG 43 performance vehicles, replacing the GLE400, features a 362 horsepower AMG-enhanced 3.0L V6 biturbo powertrain with the AMG-enhanced 9G- TRONIC 9-speed automatic transmission. The AMG GLE43 SUV will go on sale by early 2017. The 2017 Hyundai Elantra Sport has a starting MSRP of $22,485 (including $835 destination charge) for the 201 horsepower 1.6L Turbo-GDI engine mated to the standard 6-speed manual transmission. The Elantra Sport with a 7-speed DCT and paddle shifters starts at $23,585. The available Premium Package for $2,400 adds an 8” navigation system, 8-speaker Infinity premium audio system with Clari-Fi Music restoration technology, Blue Link connectivity, a power sunroof, Blind Spot Detection with Rear Cross-traffic Alert & Lane Change Assist, dual automatic temperature control with auto defogger, and an auto-dimming rearview mirror with HomeLink and a compass. The all-new 2017 Subaru Impreza sedan and 5-door models are powered by a 152 horsepower direct fuel injection 2.0-liter 4-cylinder Boxer engine. The base and sports trims offer 5-speed manual transmissions while most models have the Lineartronic®CVT (continuously variable transmission) that features a 7-speed manual mode function with steering wheel paddle shifters that allow the driver to control the transmission via seven pre-set ratios. The 2017 Subaru Impreza will be offered in 2.0i, 2.0i Premium, 2.0i Sport and 2.0i Limited trim levels. Models equipped with Subaru’s Lineartronic® Continuously Variable Transmission will arrive late 2016 while 5-speed manual models will be available in early 2017. The new Impreza offers up to 38 mpg highway on CVT models. Manual transmission model and mpg will be available in early 2017. 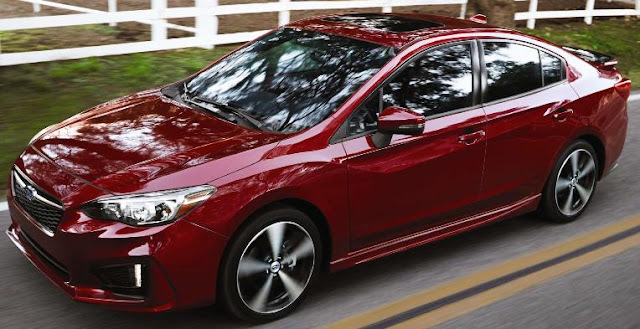 Pricing begins just $100 over previous model year at $19,215 (including $820 destination & delivery charge) for the 2.0i manual transmission model up to a starting price of $25,415 for the 2.0i Limited 5-door Impreza. The new Acura TLX GT Package, available on all 2016 and 2017 TLX models, includes a rear decklid spoiler, front spoiler, side sill garnishes and rear underbody spoiler, along with an optional 19-inch Diamond Cut wheel and tire kit. The TLX offers a 206-horsepower 2.4-liter i-VTEC inline-4 with 8-speed Dual Clutch Transmission with torque converter and a 290-horsepower 3.5-liter i-VTEC V-6 with 9-speed automatic transmission. TLX models offer Precision All-Wheel Steer™, next-generation Super-Handling All-Wheel Drive™ and Agile Handling Assist. The 2017 Audi A3 has a more powerful 186 horsepower 2.0-liter TFSI® engine, an increase of 16 horsepower over the previous generation A3 1.8T and mated to a new seven-speed S tronic® dual clutch transmission with front-wheel drive delivering 29-mpg combined EPA-estimated fuel economy. The A3 Sedan and Cabriolet models are also available with the higher output 2.0 TFSI quattro® all-wheel drive turbocharged four-cylinder engine with six-speed S tronic® dual clutch automatic transmission. The A3 Sedan FWD starts at $32,150 (including $950 destination charge) this Fall. The 2018 Mercedes-AMG E63 Sedan base model has a 563 horsepower AMG 4.0L V8 biturbo engine with AMG Cylinder Management cylinder deactivation system and accelerates to 60 mph in 3.4 seconds to a top speed of 155 mph while the E63 S Sedan is rated at 603 horsepower and accelerates from zero to 60 mph in 3.3 seconds to a top speed of 186 mph. The AMG SPEEDSHIFT MCT (Multi Clutch Technology) nine-speed sport transmission is combined with a wet start-off clutch for the first time. Both E63 models are available with the new AMG Performance 4MATIC+ all-wheel drive system. The 2018 AMG E63 Sedan makes its auto show world premiere at the 2016 Los Angeles International Auto Show with its US dealer launch is planned for the summer of 2017. The all-new 2017 MINI Countryman, completely redesigned and reengineered, will be offered as a plug-in hybrid and a Cooper S E Countryman ALL4 powered by both a 221 hosrepower three-cylinder MINI TwinPower Turbo Technology gasoline engine delivering 42 percent more torque than its predecessor and an electric hybrid synchronous motor. The all-new MINI Countryman has a cargo space increase of 30 percent compared to the outgoing generation with sliding, folding rear seats, a high roofline, and an adjustable trunk floor. All three of the new MINI Countryman variants will make their World Premiere at the Los Angeles International Auto Show November 16th. The new MINI Countryman will go on sale in March 2017 at MINI dealers across the U.S. with the MINI Cooper S E Countryman ALL4 plug-in hybrid following in June 2017. The all-new 2017 Mazda CX-5 will make its world premiere at the Los Angeles Auto Show, open to the public November 18-27. The 2018 Volkswagen Atlas is a seven-passenger SUV measuring 198.3 inches long, 77.9 inches wide and 69.6 inches high coming with either a 238 horsepower 2.0-liter turbocharged and direct-injection TSI® four cylinder or a 280 horsepower 3.6-liter VR6 engine mated to an eight-speed transmission in front-wheel-drive or with available 4Motion all-wheel-drive in VR6 trims. Also available is Adaptive Cruise Control, Forward Collision Warning and Autonomous Emergency Braking, Blind Spot Monitor with Rear Traffic Alert, Lane Departure Warning which actively helps the driver steer the car back into its lane and Parking Steering Assistant. The 2018 Volkswagen Atlas, built alongside the Passat at the Volkswagen Chattanooga assembly plant, will launch in the Spring of 2017.